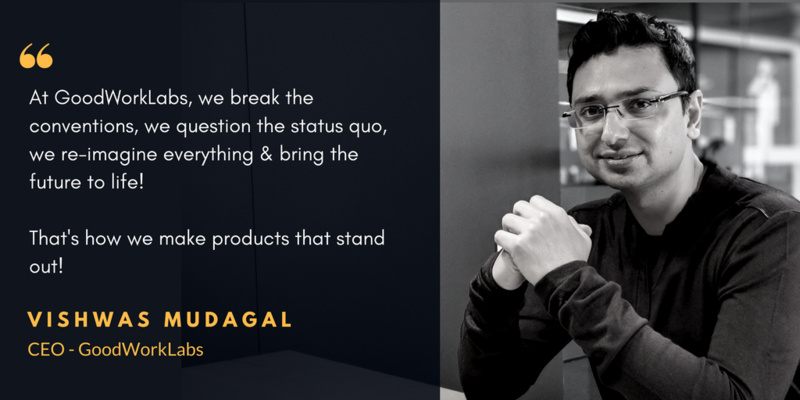 In 2013, Vishwas Mudagal along with his co-founder Sonia Sharma founded GoodWorkLabs , a leading new-age outsourced product development company with a core focus on AI, Machine Learning technologies, and Data Science. The company also houses an award-winning UX design studio that designs applications for both web and mobile. With a focus on helping fortune 500 companies and startups to design and build robust software and mobile applications, today, GoodWorkLabs is the default choice for anyone who wants to build path-breaking tech products. GoodWorkLabs is a successful boot-strapped company with offices in Bangalore, Kolkatta, San Francisco and New York. What started out as a 6 member team in 2013 is today a 150+ strong team of technology superstars and all of this has been possible as a result of Vishwas’s leadership and strong entrepreneurial vision. Today, GoodWorkLabs is the fastest technology company in the IT industry with a marquee of clients who trust it for their product development. GoodWorkLabs has become a gold standard in the IT industry and is one of the hottest technology brands. With prestigious awards and rankings from Deloitte, Financial Times, Red Herring, and a Google Certification, GoodWorkLabs has carved its own success story. 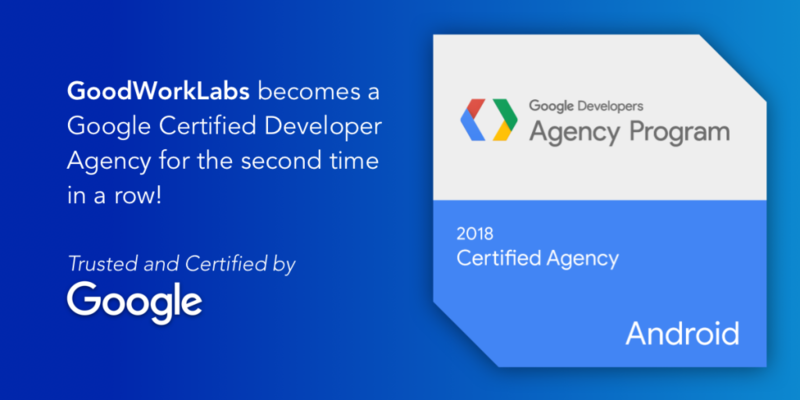 It has been certified as a Google Developer Agency for two years in a row and has demonstrated expertise in building powerful android technologies. 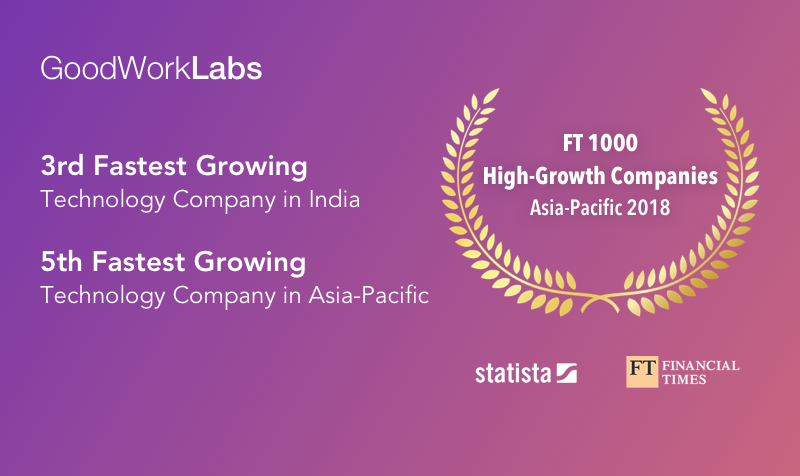 The company has also been ranked as the 3rd fastest growing technology company in India and 5th fastest growing technology company in Asia-Pacific by FT 1000 High Growth companies. This ranking came after GoodWorkLabs recorded an impressive revenue growth of 1487% from 2013-2016. 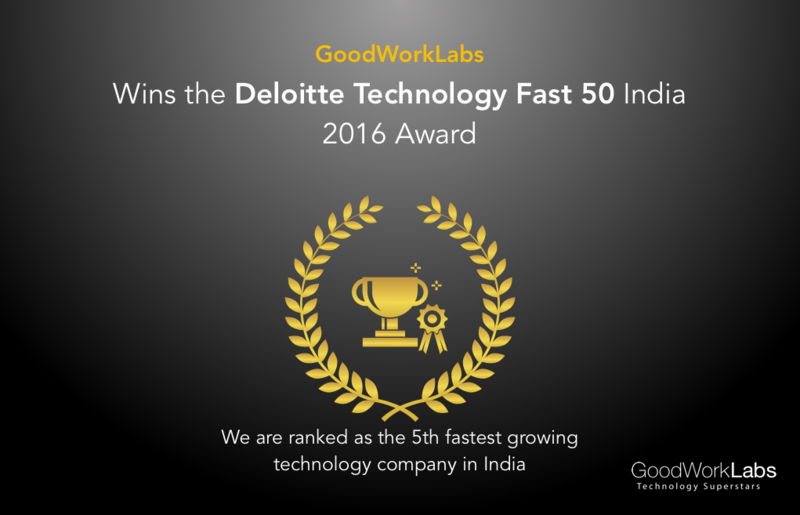 In 2016, GoodWorkLabs was ranked as the 5th fastest growing technology company in India by Deloitte based on the exceptional revenue growth the company acquired. Thus, GoodWorkLabs has always been on the forefront of technology with a focus on building great technology. Here is a snapshot of other awards and recognitions that GoodWorkLabs has bagged since its inception in 2013. To know more about GoodWorkLabs, visit the website.